Have you got a bucket list? I have. What made me create one? Mine’s a list of things I want to do before I turn 50. I’ve had some big changes in my life over the last 12 months. So, in the interest of self-improvement and joy, I created a bucket list. It has the usual things on it – places to visit, things to learn, experiences to enjoy and some challenges. Something to take me out of my comfort zone. One of these challenges is my 10k run. I was chatting with a friend and he was telling me how he’d completed the Bristol 10k. He went on to tell me he was planning on improving his time at the Cardiff 10k and going on to do a duathlon a couple of weeks later. Feeling totally inspired, and intimidated, I decided I’d start to check things off my bucket list. I went straight on and signed up for my first 10k. 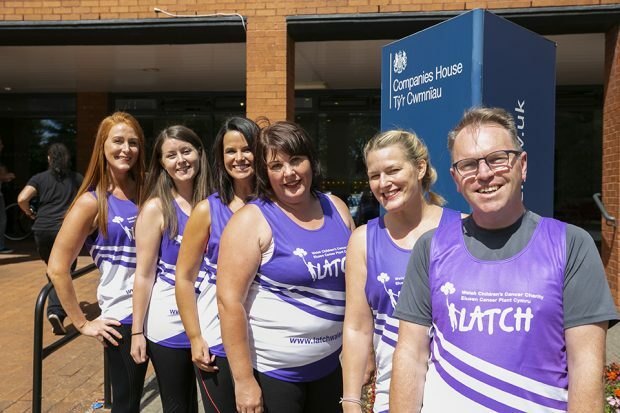 My support network: Companies House running team. I’ve done a little running in the past, but it’s been well over a year since I’ve put any real effort in. I was dreading that first run and could feel the burn in my lungs 2 minutes in. 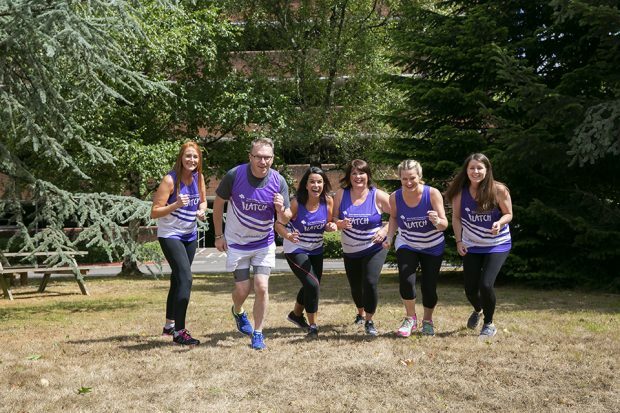 In the past, I’ve only ever run for pleasure – and I don’t think I’ve ever managed 10k. How on earth was I going to motivate myself to run 10k? I’d need a reason, a purpose, a drive. I needed a really good reason. I’m no Forest Gump. I couldn’t see me ever getting to the point where I just kept running. I needed other people around me and a driving force to get me over the line. I would run for a charity. It was that simple. Commit to running for a charity, then I’d have a really good reason for dragging myself out of bed and going for it. But, I was still going to need a support network. I’m a team player and not good with being a lone wolf. So, I decided to put a shout out to my lovely Companies House communications colleagues. I managed to get a team together, safety in numbers and all that. Girl power was in full force as myself, Helen, Esmé, Rachel and Jocelyn all signed up for the race. The team was coming together. Apparently, the men will be there offering moral support at various markers around the course. After talking to colleagues in our product team, Scott bravely put himself forward as our token man. Next, we had to choose our charity. We wanted to keep it local, so each selected a charity and put the name in a hat. One was selected at random and, I’m thrilled to announce, we’ll be running for LATCH. LATCH is a Welsh Children’s Cancer Charity. It was formed in 1982 by a group of families and friends who recognised that the children diagnosed with cancer or leukaemia and their families not only needed medical support, but also social and welfare support. The funds are used to ease the huge financial and emotional burden placed on families with a child on treatment. LATCH is an acronym of: Llandough Aims to Treat Children with cancer and leukaemia with Hope. The work that LATCH does is remarkable and takes the whole family into consideration. Funding is given to make sure that each family member is supported and looked after at such a difficult time. At Companies House, we’ve had a big drive on corporate social responsibility. Each member of the organisation is given time to help charities within our community. Other ways we’ve helped are helping out at Cardiff’s Foodbank, dog walking for a local charity, beach cleaning in Barry and gardening at a local residential home. As the date creeps ever closer, thoughts have turned to training. This wonderful sunny weather, while it’s bliss for lounging about, isn’t great for making me want to don my trainers and run. We’re determined to run the whole way, but also relieved to see that there’s a 2 hour window, so we can perform at a more leisurely pace if needed. One thing I need to tell you about our team, is we love food. All food. Aside from our passion for communications, it’s the one thing that unites us. I recently won a 4.5kg bar of Toblerone, and a team of 15 devoured it in under an hour. We also have a passion for curry, and can be found every Thursday in the works canteen as part of our curry club. Training hard: running to curry club. We’d really appreciate any sponsorship you can provide, through our Just Giving page. We’ve a plan to train and get 10k ready as soon as we can. I remain optimistic that we’ll all finish the race without needing the assistance of St John’s Ambulance. This is all dependant on the weather being not too hot and not too cold, and the route containing zero inclines. It would seem I’m bit like Derek Zoolander. He can’t turn left, and I can’t run up hills. If you see us gorging on curry, cakes, biscuits or enormous bars of Toblerone... don’t judge. A car doesn’t run on empty. Another thing you can help us with, apart from sponsoring us, is our team name. We've had several suggestions, but none seem to fit. So, what do you think? 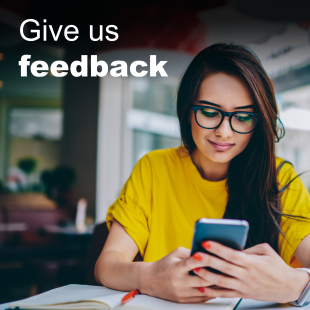 Help make Companies House better: complete our survey and enter a free draw to win an iPad Pro. Tanya hats off to all of you fantastic. Good work guys I've got one suggestion.